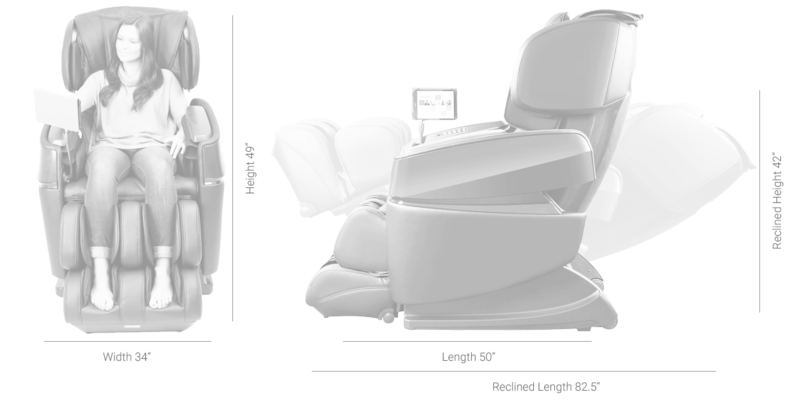 The luxurious Ogawa massage chair line is designed and manufactured by the same company as Cozzia. Technically they are the same chairs. If you haven't heard of Ogawa, but aware of the Cozzia brand and their technology, you can rest assured you're getting the same engineering, and craftsmanship because it's virtually the same company. The two brand names differ for their retail channels. NOTE: The Ogawa series is sold mainly online, and is available in major online retailers such as on Amazon (click here to see all of the available models). But they do have physical showrooms as well. Cozzia, on the other hand, is made for retailers. We dug into customer reviews, asked expert's opinion & consider prices to provide you with the review of one of the top-selling models in the Ogawa lineup, the Smart 3D Zero Gravity Reclining Massage Chair. Can features such as SmartSense airbag pressure control, built-in quick touch user controls be worthy of the price tag? Let's find out! Let's start with the most outstanding quality: it's powered by a Samsung tablet. The small tablet, which slides securely onto the reading arm, contains an application that runs it, programming, and everything you need to set and change modes and intensities. 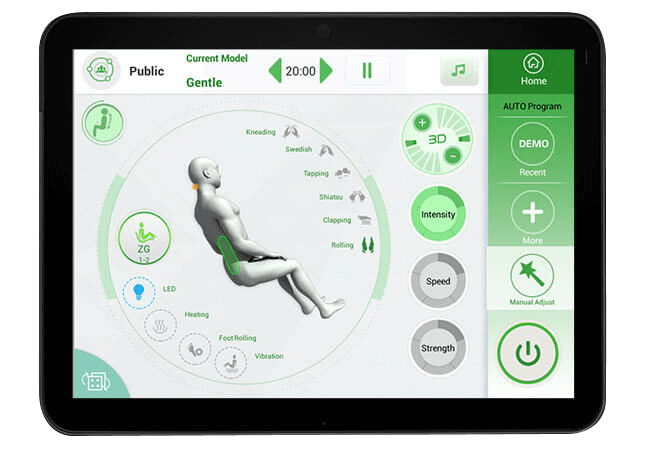 So, the chair in and of itself is a smart unit, powered by the app that puts you in control. If you like technology and want to say goodbye to remote control, you'll love this feature. The app also allows for software updates, so you will always have the latest software installed, and upgrades can come at any time. No service calls necessary. NOTE: Make sure you are aware that Samsung Tablet is operated from a Wifi connection. Some users find a problem operation a chair if the Wifi connection is spotty or bad. You can still connect and use the chair’s hardwired, but functionality will be limited. A newer model is available called Ogawa Touch 3D (click here to check latest prices), so you may want to consider this model instead. It is around $1500 cheaper, but it is a similar chair with fewer functions. We love the tutorial that comes programmed into the app. No more looking online for instructions or pouring over a manual or user guide (unless you want to). While those things are of course still available if that's how you roll, if you prefer just to sit down and get to relax, you can. The demo on the app not only shows the features, but it also performs them in concert. So, you can sit back, relax, learn all of the aspects and functions available to you, all while getting a great massage. Just try not to fall asleep before you absorb it all. And if you do, there are worse things than having to start it over again! You can control all of your choices right from the tablet. 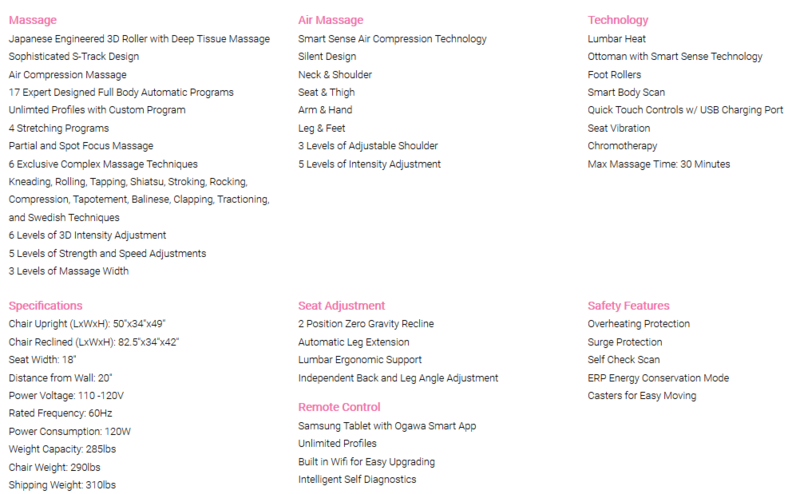 Choose your massage program or build your own, and save favorite programs so you can use them over and over again, with the press of a button. And if you would instead use a set of buttons that is more like a traditional remote control, there are set of quick controls nicely designed and built right into the armrest. The chairs are nicely designed, made from a quality faux leather material that will look good in any room, and go with any decor. It comes in your choice of a few colors black or cappuccino, which has black accents. Zero gravity positioning is an important feature that you will find in most high-end massage chairs on the market. Standing, sitting, and even reclining doesn't allow for our spines to fully relax. This feature will put you into the ideal position that reduces a load on your spine for a relaxing and comfortable massage. With zero gravity, you can move into an entirely flat, or even inverted position, with your feet above your heart. Think astronauts at takeoff. This isn't a coincidence. NASA designed this position because it allows you to achieve weightlessness. This takes all of the pressure off your spine and joints, which is excellent for your lower back and vertebra. It relieves tension, pain, and stress in your back and soft tissue enhances blood flow and increases circulation. This is one of the healthiest positions for your body. Comes with Bluetooth compatibility and high-quality sound system .You can enjoy your music during your massage session. In addition to your Smart App, Samsung tablet technology will provide you with internet access. The integrated USB port allows for easy charging of your Tablet or Phone. If you like quiet, you will fall in love with this chair. Equipped with sound-dampening technology, this is one of the quietest chairs on the market. This is an excellent feature because most top-of-the-line chairs contain the real engineering that makes them the best and most sought-after chairs, but also the loudest. Air compression, in particular, can be loud. Here, however, you get one of the quietest massage chairs out there. You get the same phenomenal massage with none of the noise. A few other excellent standouts are the varying levels of adjustability. Beyond just changing the intensity, program, or type of massage you prefer, there are some physical qualities that enable customizability. The pad on the back is removable so you can opt for a lighter intensity massage if you prefer. 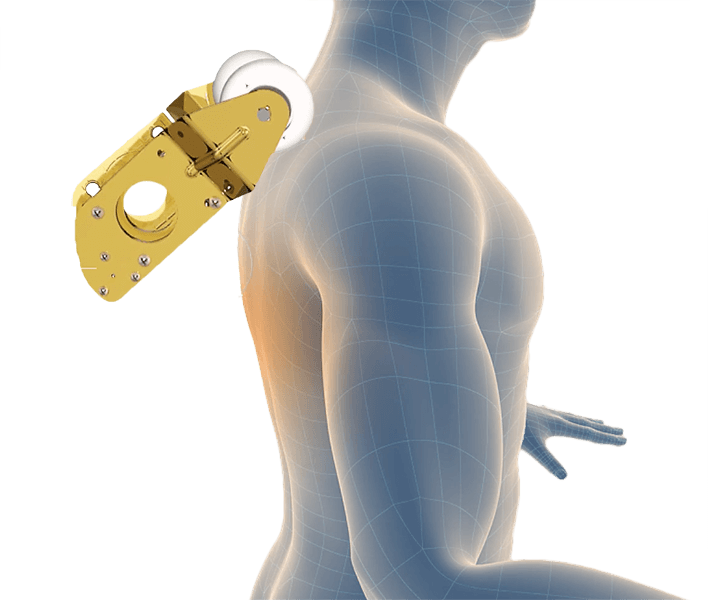 You can also adjust the shoulder width to fit your exact body dimensions (adjustable shoulder feature). And the very well padded neck rest pillow is specially designed to ease the muscles in your neck and enable you to move into a more deeply relaxed position with your head falling farther back down your neck. As we all age, the vertebra in our necks and spines gets tighter, which makes it more difficult for us to get our heads to recline far enough down for relaxation and massage. This extra neck pad (neck pillow) aids in that stretching. Aside from the tablet and app that you use to control the chair, you also get some nice high tech features for sound and devices. To go along with your quiet, you can listen to your music or nature sounds--whatever you like--to lull you into further relaxation, not to cancel out the noise. The Smart 3D Zero Gravity contains built-in speakers and a USB plug, so you can listen to your favorite music and have the sound right where you need it. At the same time, it will charge your device. You can select from Seventeen automatic programs with just one touch from a Samsung Android Tablet. Each program provides various massage techniques such as Kneading, Swedish, Tapping, Shiatsu, Clapping & Rolling. You can create your own massage program personalized just for you and save them to use at a later time. With virtually unlimited unique massage combinations and user profiles - you can create a custom massages program that is custom to your specific need. Massage programming allows you to do just that. With the very latest in massage roller technology, 3D rollers work together to deliver deep tissue massage. The rollers move along your back in an up-and-down movement, an across-the-back movement, and an into-the-back movement. This is the closest you can get to a human massage. You will feel the intensity in your muscles, soothing away aches and tension. You also get deep, full body compression massage. There are 64 airbags in total for your feet, calves, thighs, hips, seat, waist, arms, and hands. There is also a computer scan, which images your body to ensure the massage is tailored to your exact height and dimensions. There are massage rollers for your feet. Ogawa and Cozzia offer good warranties. This chair is covered for one year on parts and labor, two years on parts only, and for the third year, you own it, if anything breaks or goes wrong with the structure itself, you're covered with limited warranty. You can purchase an additional 5-year limited warranty (extended warranty). The smart features are a definite pro. You can control everything via the tablet, and the software is updated automatically. The fact that this chair is so quiet almost puts in a class by itself. There are other quiet chairs, but for the price point, this is a huge bonus. The adjustability puts this a notch above the rest. You really can design this chair to fit the dimensions of your body. It's tough to find a con with this chair. It's quiet, it has built-in speakers and USB charging, the massage capabilities are top notch, and the engineering is cutting edge. It packs a lot of punch. But if you look hard enough, you can find a few. The biggest one is Wifi connectivity issues some users are experiencing. There are no rollers specifically for the arches of your feet. You get a foot massage, but not deep into the arches if you need that for high arches or flat feet. The computer scans your body each time you use it. It would be ideal if this were stored in the computer and only activated if someone new sits in it. Programmed massages only last thirty minutes, and then you have to start it again. This should be adjustable, though it's a standard feature among similar models. You can't adjust the airbag intensity individually per body area. There's only a global setting. This isn't a space saver. If you have a small room or apartment and need a low profile chair, this isn't the chair for you. You'll need about twenty-one inches of space from the wall. If you're looking for a more budget-friendly option, and you trust the brand (Ogawa World USA if you are from the USA), you should check out the Ogawa Refresh. It delivers excellent massage via the S-track system, covering every contour of your neck and back. You get the weightlessness of zero gravity and full body compression airbag massage. The lumbar area is heated for added relaxation and pain relief for your lower back. And you can select from one of four built-in automatic programs or design your own. You can choose from shiatsu, clapping, tapping, kneading, rolling, and Swedish. Chair's shipping weight is 311 lbs, so you may want to consider white glove delivery so that the chair can be put together for you. Internet video assembly instructions are also available and pretty easy to follow. Add your chair to cart here to discover if you have to pay taxes and for shipping information. If you're in the market for a high-end chair, you will be hard-pressed to find a competitor in the same arena as the Ogawa Smart 3D Zero Gravity. For the features, massage, technology, design, and durability, the Ogawa might be a good fit for you. Getting a good massage chair for neck and shoulders as well for your whole body is an investment in your health and wellness that has been proven to help in not only areas of chronic and acute pain, but in stress relief, relaxation, and overall well-being. Ogawa Smart 3D reviews from its users are resounding and often echo that it’s simply the best of the best in its class.